Who marks green tick in Stack Overflow? Who marks green tick in Stack Overflow and which parameters are responsible? The green tick is marked by the person who asked the question. The onus is on them to choose who has produced the best answer and mark that as the 'Accepted Answer'. This then generates the green tick that you can see. You can also indicate where answers are of value (but maybe not, in your opinion, the best one) by upvoting the answer. Can I ask a moderator to unaccept my incorrect answer? What on earth is a [tick]? What's up with this green? Are the upvotes and accepted marks keeping these bad answers from very-high-rep users alive? An answer of mine was accepted. What happens if I modify it? Should this be flagged for moderator or is this acceptable? 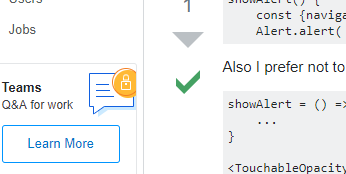 What is this Stack Overflow green icon?